Hearts head coach Ian Cathro praised his players for passing a serious test of character and setting up a William Hill Scottish Cup derby. A 4-2 extra-time replay victory over Ladbrokes Championship side Raith Rovers at Tynecastle earned Hearts a fifth-round home tie against holders Hibernian. Hearts fell behind early on to Bobby Barr's deflected strike and failed to capitalise on some belated pressure to avoid extra-time after Rory Currie's first-half equaliser. But Malaury Martin and Jamie Walker netted penalties either side of Ryan Hardie's equaliser, with Bjorn Johnsen making sure of the win, Cathro's second in seven matches in charge. Cathro said: "There were emotions and attacks going on and strongest man wins that test of being able to fight, being able to stay together and deal with the setbacks and stay strong and want to go on and push. "All those things created a really, really big test on the players to get through that and we did and I'm pleased we have that reward. "It was maybe tougher to get there than we would have liked but sometimes that challenge is even better to have than being straightforward, because we have now surpassed it." Hibs will visit Tynecastle in the cup for the second year running. 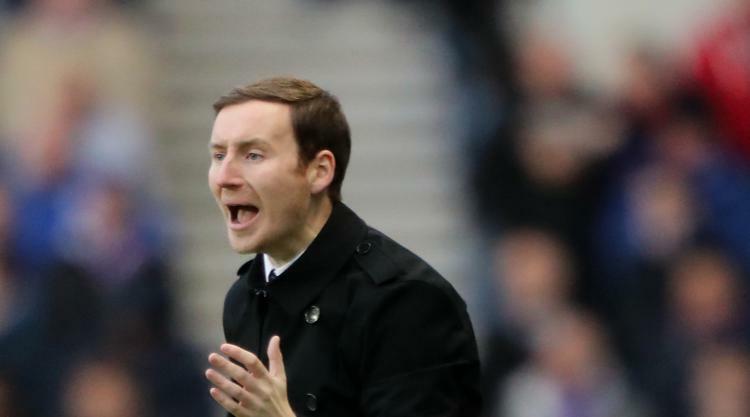 Cathro, who refused to comment on reports linking him with former St Mirren forward Esmael Goncalves, said: "It's an absolutely massive game, one where everyone's excitement will be at peak and those are the games that all of us love the most." Rovers manager Gary Locke was sent to the stands after complaining about John Beaton's decisions to award each penalty, both for fouls on Walker. Jason Thomson and Kyle Benedictus combined to fell Walker for the first and the latter appeared to trip the midfielder for the second. Former Hearts boss Locke was reluctant to comment on the penalty awards but said: " I have to see them again to be fair but they looked soft from where I was. "Getting back to 2-2 you could sense the nervousness in the stands so it was disappointing the timing of the penalties." Locke added: " I felt we gave a great account of ourselves and I'm really disappointed for the players. I felt we deserved more than we got."